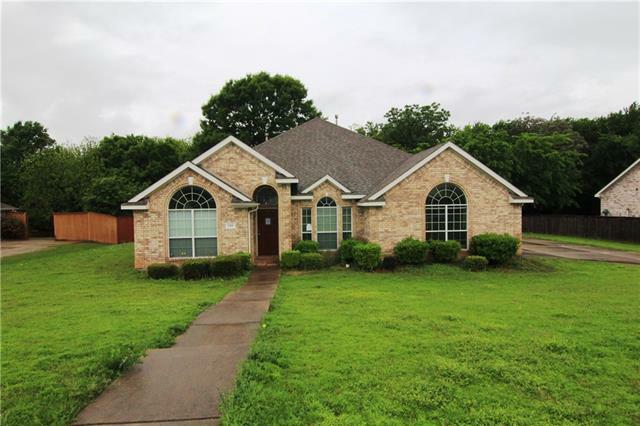 All Red Oak homes currently listed for sale in Red Oak as of 04/25/2019 are shown below. You can change the search criteria at any time by pressing the 'Change Search' button below. If you have any questions or you would like more information about any Red Oak homes for sale or other Red Oak real estate, please contact us and one of our knowledgeable Red Oak REALTORS® would be pleased to assist you. 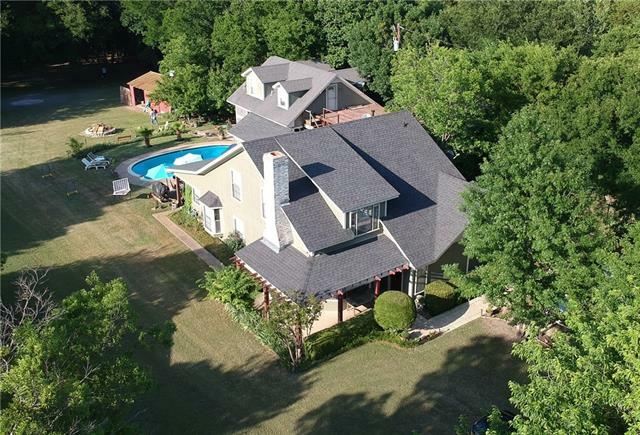 "Located in Ovilla (though not within in the city limits) and in the exemplary Midlothian School District, you will love the privacy of this custom 4 bed, 2.5 bath, 3 car garage on almost 2 acres on a quiet cul-de-sac. 4th bed is flexible space currently used as an office. 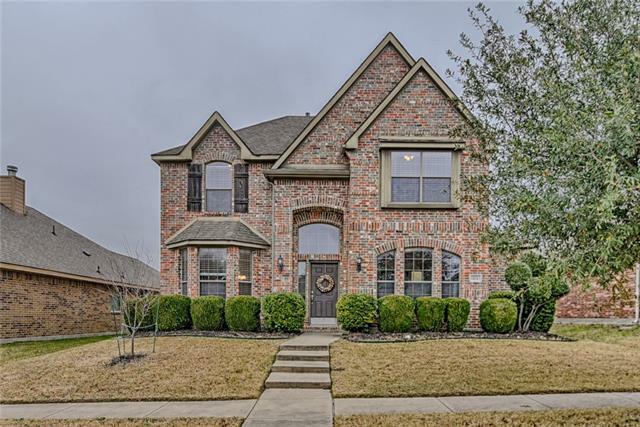 Wood flooring and carpet in the living areas, an open floor plan and the family room has a decorative Austin stone gas fireplace .The chef's kitchen has gas appliances, a walk-in pantry, island and breakfast bar and the spaciou"
"Very motivated seller! STUNNING BUILDER'S HOME WITH ALL THE EXTRAS! 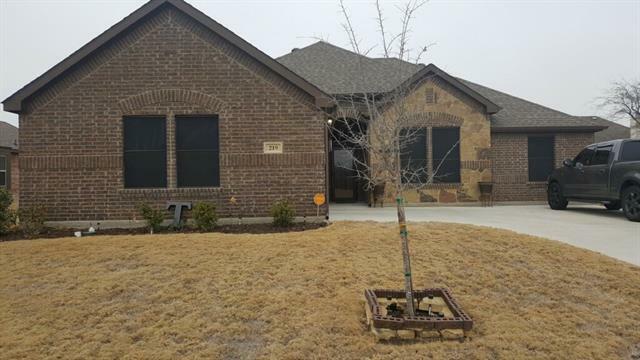 4 BEDROOMS, 3.5 BATHS, FORMAL DINING ROOM, EAT IN KITCHEN WITH A LARGE ISLAND WITH PLENTY OF SEATING, FARMHOUSE SINK, DOUBLE WIDE REFRIGERATOR THAT STAYS! THE MASTER SUITE AND BATH IS A LARGE OPEN SPACE YOU WILL NEVER WANT TO LEAVE! 2ND BEDROOM HAS A FIREPLACE. UP THE BEAUTIFUL WOOD AND IRON HANDRAIL STAIRCASE LIES THE LARGE GAME ROOM WITH CRANK OUT WINDOWS, CLOSET FOR ALL THE GAMES. 2 MORE BEDROOMS AND A BATHROOM. THIS HOUSE N"
"Country Living At Its Best! 4 Bedroom 3 Bath Custom Built Home. All on1 Acre. Mature Trees and Wonderfully Landscaped. In ground Pool & Spa. Also Outside Shower, Water Fountain, and Half Bath. Oversized garage with 560 sq ft Upstairs Apartment with Kitchen, Bath, and Bedroom. Main Home Features Custom Built Cabinets in Kitchen, Huge Living Area. Master Bedroom with Sitting Area & Plenty of Built-In Cabinets. A Must See!" 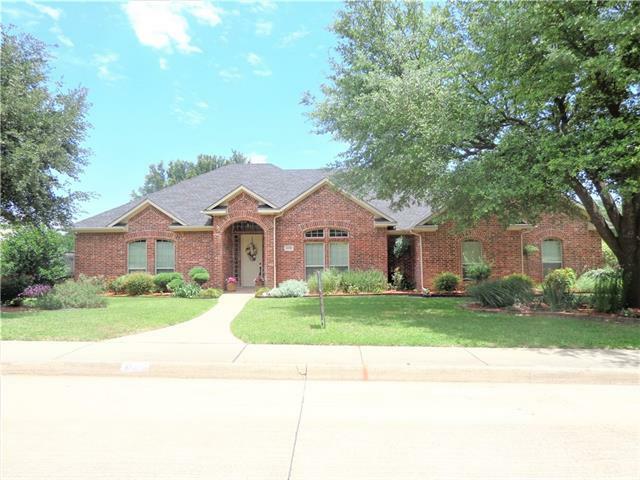 "Here is your GRAND home nestled in Red Oak ISD just minutes from Dallas. No need to wait. Move right in NOW. Begin enjoying all that it has to offer. Behold gorgeous entry and stairway leading to your great entertaining area including game room and media room with surround sound. Have impressive gatherings around stone fireplace or in the fabulous living areas that this beauty has to boast. Sit at the granite breakfast bar or island for your morning coffee or private cooking lesson. All bedro"
"MLS# 14050105 - Built by First Texas Homes - April completion! 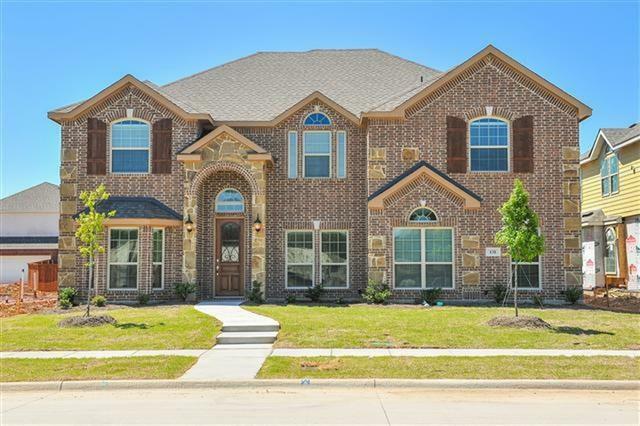 ~ This beautiful 2 story 5 bedroom, 4 bath.. 2 car garage is gorgeous is a must see, it has stone on exterior, granite counter tops in kitchen, stainless steel appliances including a double oven, stone fireplace, curved staircase with metal railing, vaulted ceilings in family room, granite counter tops in master bath, upgraded carpet, staggered ceramic tile in select areas, a beautiful 8 ft. front door, covered back patio, blinds a"
"Like New, this Stunning home in the desirable Hickory Creek subdivision is a must see!! The inviting entryway has beautiful hard wood floors that lead to a gorgeous curved staircase with wrought iron spindles. A Butler's Pantry is a great addition to the spacious kitchen adorned with a California island that opens up to a family room featuring a floor-to-ceiling stone fireplace. The master suite has a sitting area, custom blinds, and a large master bath with granite counter tops. 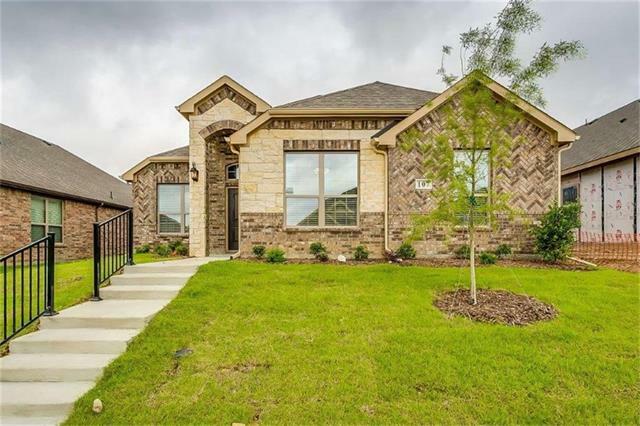 The upstairs i"
"MLS# 13880859 - Built by First Texas Homes - Ready Now! ~ REDUCED PRICE!! Originally $375,577 This beautiful home is a must see, it has 5 bedrooms, 3.5 bathrooms, and a 2-car garage. 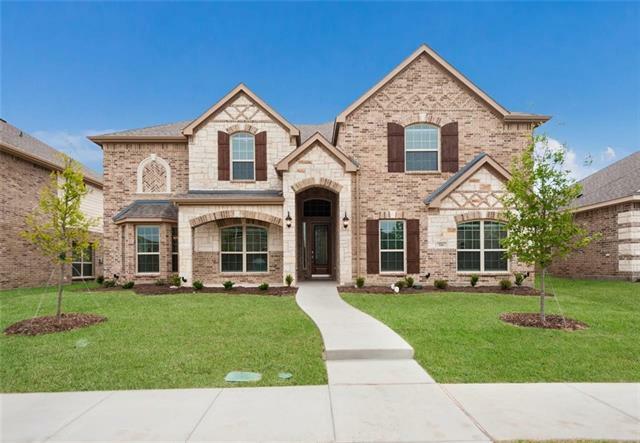 This beautiful home is loaded with upgrades such as a curved staircase with metal railing, 3 cm granite in kitchen, double stainless-steel ovens in kitchen, a California Island, a butler's pantry, wood in select areas, stone fireplace in family room, covered back patio, blinds and much more!" "Ready Spring 2019! 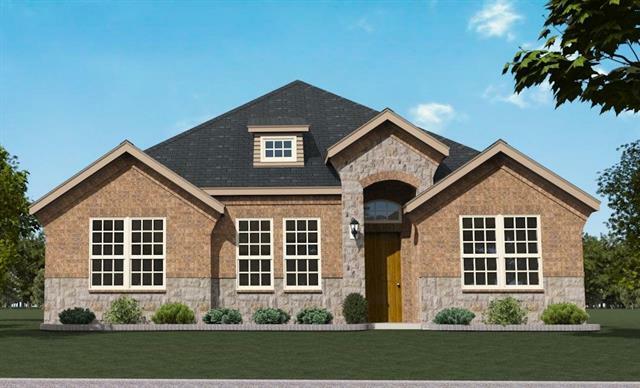 Lillian Custom Homes, The Lincoln Plan features a Stone elevation, 4 bedrooms, 3.5 bathrooms, Open concept, Breakfast nook, Study, Formal Dining, Family Room with Fireplace, Game Room, Walk-In Closets, Granite Countertops, Covered Porch & Patio, full sprinkler & sod, & 2 Car Garage. Each Lillian Custom Home is Energy Efficient. Savant Smart Home. Ask about our Hometown Heroes program. *This home is currently under construction. 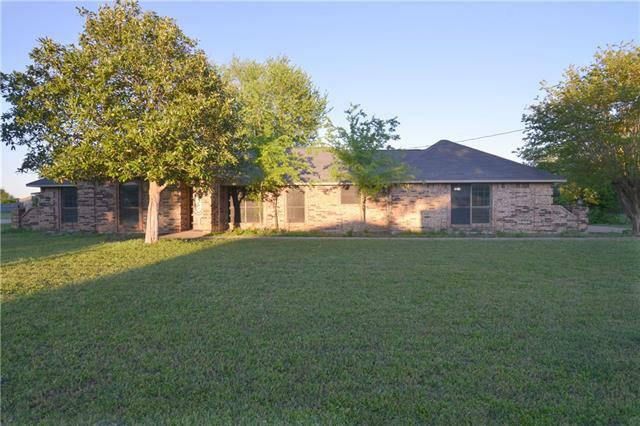 Photos are only a representation of this floor pl"
"MLS# 14050103 - Built by First Texas Homes - Ready Now! ~ This beautiful 2 story 4 bedroom, 3 bath.. 2 car garage is gorgeous is a must see it has stone on exterior, granite counter tops in kitchen, stainless steel appliances including a double oven, stone fireplace, curved staircase with metal railing, vaulted ceilings in family room, granite counter tops in master bath, upgraded carpet, wood in select areas, a beautiful 8 ft. front door, covered back patio, blinds and much more.."
"This open floor plan beauty sits outside city limits in a charming, country neighborhood. Enjoy beautiful sunsets from the second floor balcony off the oversized master bedroom, with sitting area, a large walk-in closet & master bath. 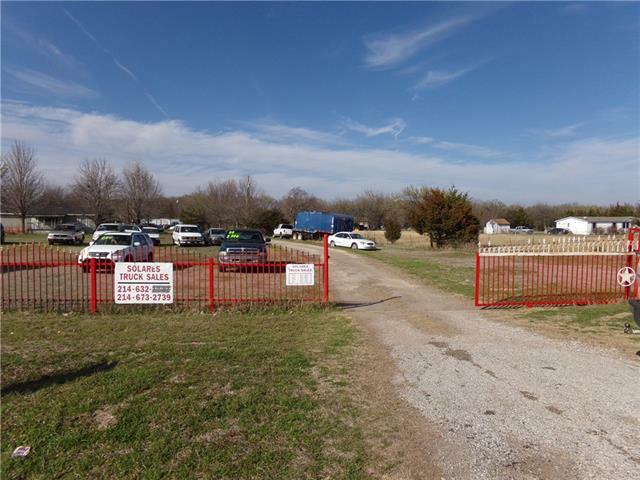 Ride your horses and 4 wheelers on the 2.33 acres! Great for entertaining or cozy family time. The large living room has fireplace and dining area! Downstairs find 2 bedrooms with new carpet and paint. The oversized laundry room can be additional bedroom. (washer "
"Beautiful custom home in prestigious area on .408 acres. Large liv. rm. with brick fireplc., high ceilings, surround sound. Big remodeled kitchen has Silestone quartz counters, tile back splash, custom cabinets, brick breakfast bar, stainless sink,wood floor,double ovens & just replaced cook top, faucets, disposal. Separate master suite has Granicoat hard surface garden tub & over sized shower, huge closet. Crown molding and wide baseboards throughout. Private back yd. has patio covered cedar pe"
"4 Bed rooms, 2 Bathrooms Two Story Home with a Dining Room, a Study, a Game Room and a 2 Car Garage... PLEASE SEE SHOWING INSTRUCTIONS... Plan H216"
"Now available! Come and see this tastefully updated home. 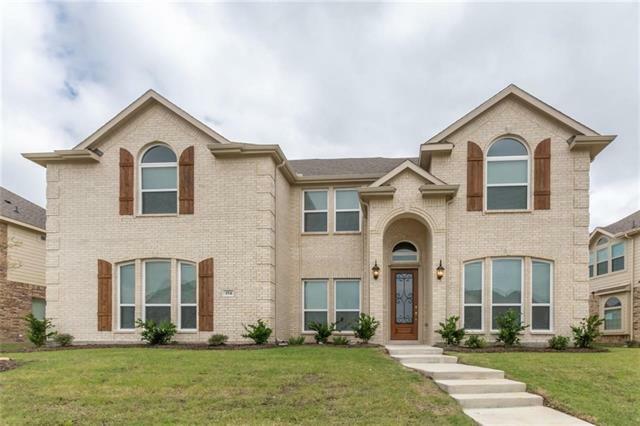 All new lighting, granite countertops, new flooring throughout, ceiling fans in every bedroom, fresh paint, a beautiful master suite, and tons more. This home sits on just a over half an acre and has plenty of room for the kids to play and for your outdoor entertaining. Plenty of shopping and restaurants are just minutes away. 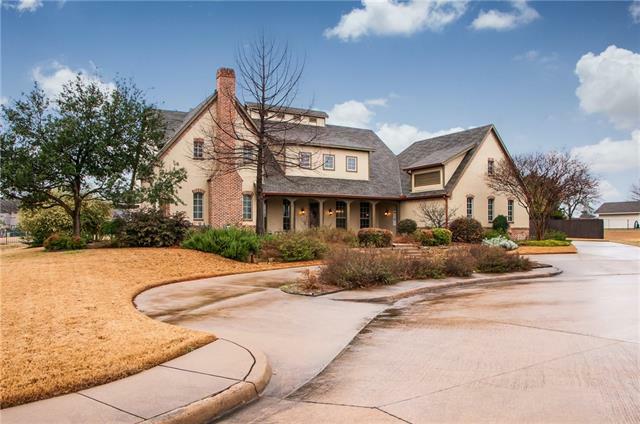 Close and easy access to major freeways that lead to downtown Dallas. With the rapidly growing area, this hom"
"Incredible updated home in the sought-after neighborhood of Harmony. 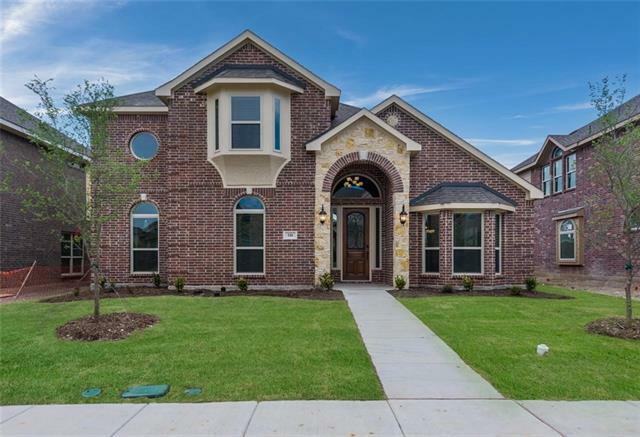 Open concept home featuring a large eat-in kitchen with granite countertops and butler's pantry leading into an oversized living room with vaulted ceilings and large windows. Master and study are downstairs, while other 3 bedrooms and extra FINISHED OUT storage room are up. Updates include new fence and pergola, new upstairs and downstairs HVAC systems (2017 & 2018), all new carpet in 2015, new plantation shutters and upgraded "
"Beautiful one owner home in the master planned community of Harmony! This Wall built home features a unique and desirable floor plan. Upon entering you will see the dining room to your left which could also make a great study. The kitchen, breakfast area and living room are all open to each other and ideal for family gatherings. The master bedroom is over sized and is split from the other 3 bedrooms. There is also a 20 x 19 upstairs game room perfect for the kids getaway, second living or man ca"
"Nice home that is ready for new owners & needs very minor TLC updates & foundation. This home has an open concept floor plan with split bedrooms. When entering the home you are greeted with a spacious formal living & dining room that leads you to the 1st bedroom & full bath then your on to the remaining 2 bedrooms & shared bath, kitchen area, main living room & B. Nook. Master is just on the other side of the kitchen area which is very spacious & open. Nice large master bath w-jetted tub & sepa"
"4 Bed rooms, 2 Bathrooms Single Story Home with a Dining Room and a 2 Car Garage... PLEASE SEE SHOWING INSTRUCTIONS... Plan H118"
"MLS# 14023698 - Built by Altura Homes - May completion! ~ This single story home features brickstone and covered patio.. 3 full bedrooms 2 bath 2 car garage with full study with closet , kitchen has lots of cabinets very large Island walk in pantry with stainless steel appliance white shaker cabinets Enhanced vinyl floors in Entry, utility, study and family room. master bed room is large with large bath room with separate garden tub and large enclosed shower and large walk in closet." 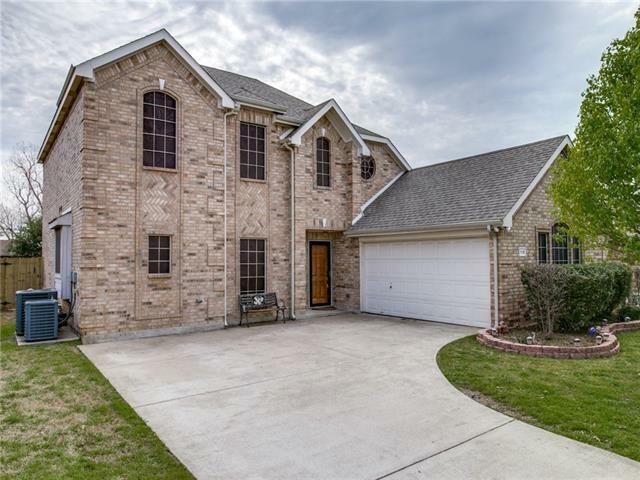 "You'll love this bright and spacious 2 story home, within desired Red Oak ISD walking distance from Red Oak Elementary. Your family and loved ones will enjoy the spacious open floor and vaulted ceilings in the main living area, perfect for family gatherings. Kitchen includes stainless steel appliances and clear sight lines into the living area. Master bedroom is located downstairs with a master on-suite as well as a bedroom office. Upstairs you will find 3 more bedrooms and bathroom. Don't mis"
"MLS# 14069824 - Built by Altura Homes - May completion! ~ This home features feature's bold curb appeal with full Acme brick and detailed stone and brick work, entry is has tile split bedroom from master with study , family room is large with Island and stainless steel appliances , master is large with separate tub and shower and nice size master closet.. Home comes with full sprinkler system , full gutters and privacy fence.."
"4 Bed rooms, 2 Bathrooms Single Story Home with a Flex Room and a 2 Car Garage... PLEASE SEE SHOWING INSTRUCTIONS... Plan H120"
"NOTICE: PLEASE NO SHOES ON THE CARPET : Seller is Highly Motivated Amazing 3 year old Home with Stone on the front elevation Solar Screens on all windows . 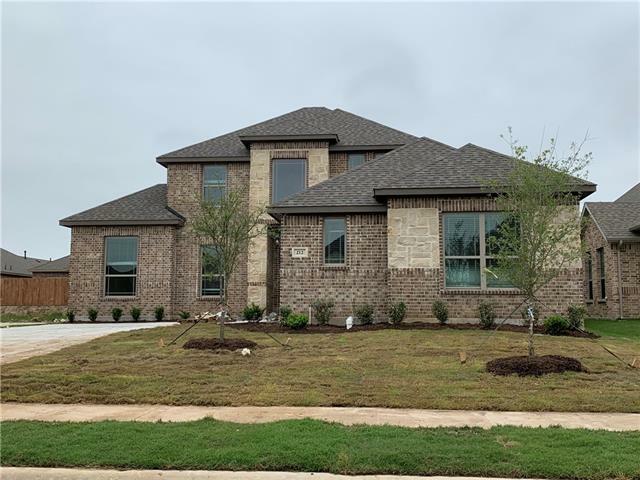 Built in a quiet community Eastridge South in Red Oak... 4 Bedrooms split with 2 Full Bathrooms... Master Bathroom has an amazing Bluetooth speaker with awesome features A Must See and Hear ! Updated kitchen back-splash and hardware on the kitchen 36' cabinets... Bonus feature ... Storage Shed ( 6 months old ) on a concrete base... 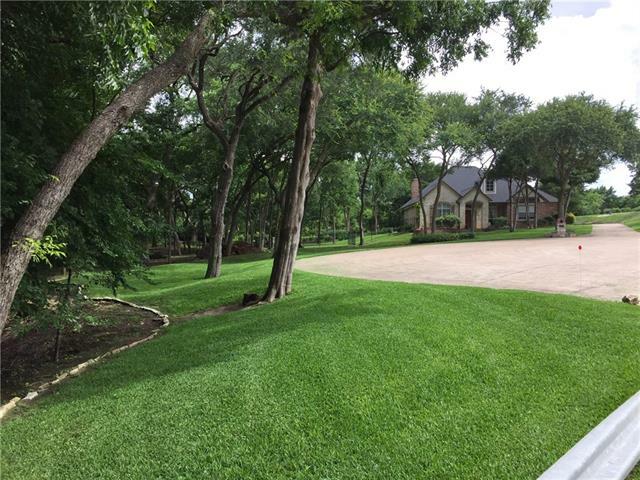 This home"
"Bautifully upgraded, desirable Red Oak Schools! Easy flow downstairs social area for entertaining, study, easy evenings at home. Downstairs, spacious living rm with fireplace, island kitchen, casual brkfast nook...or set a formal table in dining room (or is it a study, office, craft room! ), half bath, utility rm, garage.Upstairs, spacious master suite & 2 secondary bedrooms with bath. 2nd living area perfect for home school, children's lounge. Owner has replaced roof & has recently added beautif"